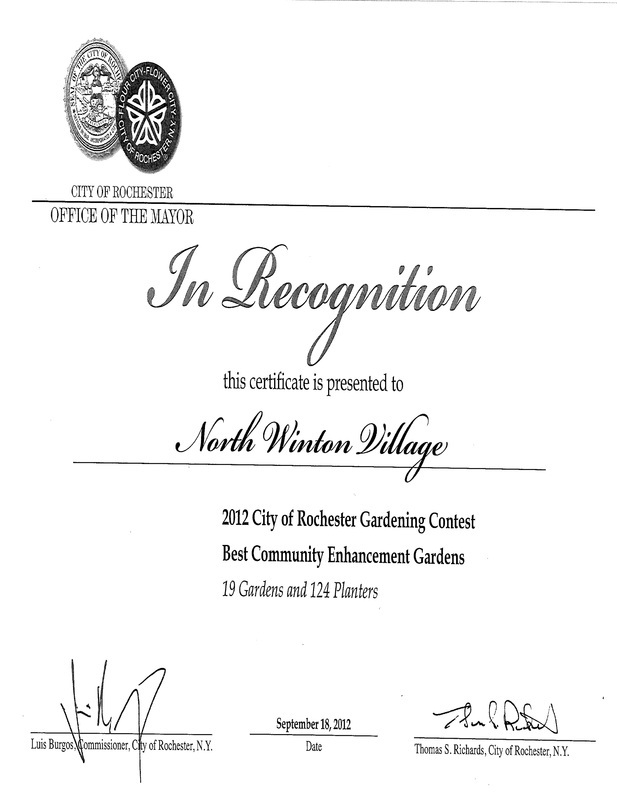 Nancy Roberts, a board member of the North Winton Village Association, passed away June 11, 2013. She will be missed. It’s that time of year again, the annual neighborhood meeting! We invite you to join the North Winton Village Association for this important discussion about the initiatives undertaken in the past year and those planned for the future. Monday, April 23rd 6:30 p.m.
Be Safe, Be Heard, Make a Difference. first serve. A short waiting list will be created for any new openings. sessions highlighting any follow up activity he wishes to do. UPDATE: Judge Nasser gave one week for the attorney of the accused to further explain the options to him. The accused remains in custody. The next court appearance is Friday, Oct. 21 at 10 a.m.
We wish the best to the RPD re: the break-ins as another one happened recently on McBeth Street. The North Winton Village Association Safety Committee will be going to family court Friday, October 14 for the appearance before Judge Nasser of a young person who has terrorized the East High School area. The North Winton Village Association, East High School, RGRTA, and the Central Office of the Rochester Central School District have been working together to see that students are supervised after school waiting for the bus. The Association also expects students to be in school and not roaming the neighborhood–East High School has a closed campus during school hours.